I've had this in mind for a while and had some time to sit down and make it today. The idea uses list based encumbrance. 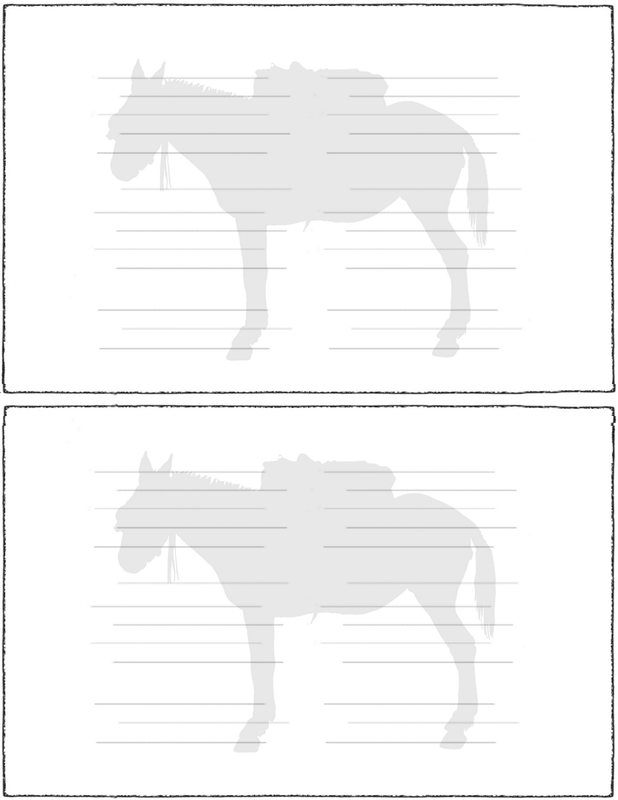 Players write down things they store on the mule and once all the slots are filled the mule can't carry any more. I had to look back at my old encumbrance post to see that I settled on 7.5 pounds per slot-- a mid point between heavy weapons and lighter daggers. That means with 26 slots per mule they can hold ~195 pounds which is about right. You can assume 5-10 pounds for a pack saddle and harness etc. I've long wanted to standardize how much sacks, bags, and chests can hold in my game. See The Nine and Thirty Kingdoms for some recent posts on this. If I do that, I can not only tell players how many coins they can stuff in a sack but know ahead of time how many slots a full sack would take up. (This is probably amusing to folks good at calculating in their heads, but I figure it will help players visualize their choices too). I think I've been saying 30lbs of coins in a sack, so that would mean 4 slots and ol' Henry here could carry 6 and a half sacks of coins. Or, if you are using 10 coins to the pound, 1950 coins. I want to do this for camels and dog sleds and maybe weird stuff like gorillas too. Also, it would probably be helpful to have a visual key showing how much various container can hold. I think for simplicity's sake I will make the slots they hold equivalent to the slots they contain. That way you can just toss your bags on the mule, or tie on a chest without worrying what the chest weighs. 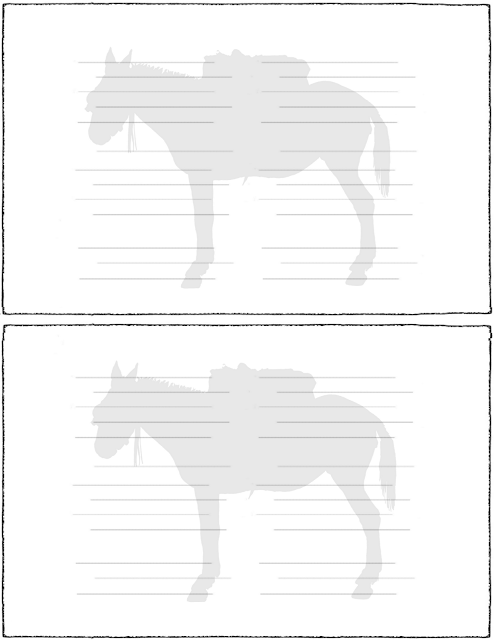 I'm just realizing it would probably be good to put a line for names and characteristics of different mules and maybe even simple meters for wounds or exhaustion. Simple is good! I'm definitely going to keep this one in mind. This is slick - two thumbs up. Thanks a bunch! I just posted a camel along the same lines. Love it! Pack gorillas would be amazing and I like the one large simplicity. I'm concerned however with your weight calculations though. If I were to find a room containing 9 rats and 2000 copper coins a single mule doesn't seem like it would be strong enough to carry out the loot. This could be a game breaker. Thanks. Hey, that mule could carry over 36,000 American pennies. My sunken temple dungeon had a room in which the floor was covered in copper coins that were left as offerings. My players had to make a special trip to town to buy sacks. Don't know how many thousand there were but I'm pretty sure they all bought plate mail from it.